Think of Heritage Action as the Clark Kent of the conservative think tank world — as buttoned-down and statistics-laden as can be, but when the nemesis (Democrats! Liberals! Wishy-washy Republicans!) come into sight, the glasses come off and the lobbying muscles flex. The thrills — and opportunities for heroics — seem greatest when disaster is at hand. Or at least that’s how Mike Needham likes to look at it. The 31-year-old chief executive of Heritage Action — the lobbying arm of the storied Heritage Foundation — senses victory where others see defeat. Sure, you could interpret the passage of the Jan 1. fiscal cliff deal as a crushing loss for conservatives, who were pained to see Republicans vote for their first tax increase in more than two decades. But flip the script, Needham urges, and you’ll see that only 85 House Republicans supported the deal; 151 of them voted against it. “That’s a whole lot of Republicans who kept their purity on the tax issue,” Needham explains. 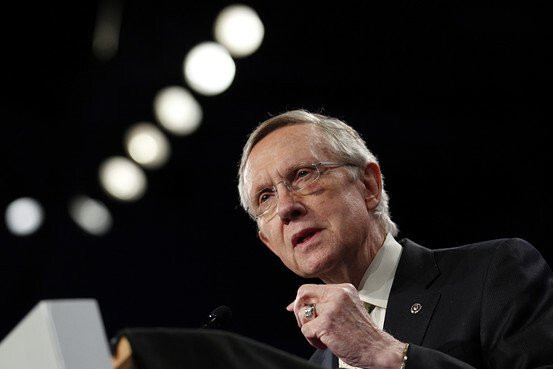 He’s as confident as ever that his group will compel conservatives to hold firm in the next stage of the fiscal fight. Needham will have a partner in former senator Jim DeMint, the conservative firebrand from South Carolina who’s set to become president of the Heritage Foundation in April. As with DeMint, there’s little that animates Heritage Action more than being in the opposition, where an honorable defeat will always trump a watered-down compromise. Needham’s group has a distinct way to convince itself and others of its rectitude: reams of data and research from the most visible and well-funded think tank on the right. A willingness to go to the brink doesn’t hurt, either. 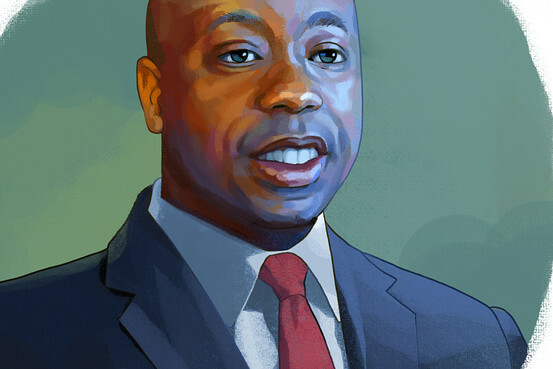 Tim Scott, the newly appointed Republican, will give liberals fits. His first priority is working for tax reform. Republicans in need of encouraging signs for the new year need look no further than Tim Scott. He was appointed by Gov. Nikki Haley on Monday to succeed Jim DeMint as U.S. senator from South Carolina. Mr. Scott is a charismatic and principled economic and social conservative from the Deep South. He owes his rapid political rise in part to the tea party movement. Oh, and he is black. Though he would clearly prefer to discuss substantive matters other than race—”I try to steer away from these issues,” Mr. Scott says—he recognizes that he has been thrust into the spotlight as a groundbreaking black politician. With some prodding, he reluctantly addresses the subject. President Obama’s new mandate requiring all employers to purchase insurance coverage for their employees that includes abortion-inducing drugs, sterilization and contraception is an outrage, of course. But what kind of outrage is it? Most of the public outcry has understandably centered around the mandate’s assault on religious liberty. The mandate forces every businessman or non-profit executive with religious objections to these products to buy them anyway, or pay a fine. The mandate is unconstitutional, for its violation of the First Amendment’s “free exercise” clause. It is also illegal, for its violation of the 1993 Religious Freedom Restoration Act. Some of the outrage has been rightly directed specifically at the president, as both the mandate and the underlying law, ObamaCare, are his doing. Ready for Another Rotten Highway Bill? We can dramatically cut the federal gas tax. States could adjust their gas taxes and make their own construction and repair decisions without costly union regulations. The Congressional Budget Office now estimates that our national debt could nearly double over the next 10 years—to an astounding $29.4 trillion from $15 trillion today—so you might think Washington would be looking to stop the fiscal train wreck. You’d be wrong. Despite all the hyperventilating about a tea party takeover in Congress, the sad truth is that in 2011 Congress increased spending from the year before, raised the debt limit by $2 trillion, and funded ObamaCare. The highway bill is the latest example of Washington’s bipartisan addiction to big spending. Every six years, Congress passes a spending bill that divvies up the revenues from the federal gas tax and other highway user fees. The money goes into an account called the Highway Trust Fund, and for decades Congress has promised not to spend more on roads and bridges than is available in the trust fund. Congress refuses to face the fiscal crisis. Despite bipartisan promises to cut spending after the 2010 elections, Washington politicians are still voting to make the government even bigger and more expensive than ever. Even though the federal government is nearly $15 trillion in debt, it’s spending at record-high levels. Federal spending has gone up 5 percent in the first nine months of this year alone. Just last week, Democrats and Republicans in the Senate passed three new spending bills to increase 2012 funding above 2011 funding levels. The bills will increase spending for the Department of Agriculture by $6.4 billion; for the Departments of Transportation and Housing and Urban Development by more than $2 billion; and for the Commerce, Justice, and State departments by more than $694 million. The demise of Solyndra, the bankrupt solar panel company showered with more than a half-billion dollars in stimulus loans, exposes the fatal flaw of President Obama’s jobs plans. Government officials rushed $535 million to Solyndra because the Obama administration was determined to make the company the centerpiece of its green agenda regardless of the law of supply and demand. Billions more have been wasted by politicians betting on favored companies and making Washington bigger, using the brute force of government to force liberal preferences into the economy. Mr. Obama calls them “investments,” but this is really venture socialism. WHY ARE TAXPAYERS PAYING FOR WINE TASTING? At a time of crisis a wasteful federal agency gets $200 million more. Long before there was President Obama’s stimulus, there was the Economic Development Administration. The EDA was created in 1965 with the same high-minded intent used to usher in the $814 billion stimulus bill in 2009. Set inside the Commerce Department, the bureau and its grants are supposed to promote economic competitiveness and create jobs. In reality, the EDA has given taxpayers little return on their investment and instead become a slush fund for the well-connected. Certainly, the bureau has funded some well-meaning projects, just as there were some noncontroversial earmarks mixed in with bridges to nowhere and teapot museums. As a recovering earmarker, I must say that I have supported certain EDA grants in the past. But to my fellow senators, I now say this: If you aren’t willing to cut spending you previously supported, our nation is destined for bankruptcy. Yet, in the midst of a debt crisis, the Senate is currently seeking to increase EDA funding to $500 million a year from $300 million. Worse, this bill passed out of a Senate authorization committee with unanimous, bipartisan support. If these outfits can afford to pay lavish salaries to their heads, they don’t need taxpayer help. PBS President Paula Kerger even recorded a personal television appeal that told viewers exactly how to contact members of Congress in order to “let your representative know how you feel about the elimination of funding for public broadcasting.” But if PBS can pay Ms. Kerger $632,233 in annual compensation—as reported on the 990 tax forms all nonprofits are required to file—surely it can operate without tax dollars. The executives at the Corporation for Public Broadcasting (CPB), which distributes the taxpayer money allocated for public broadcasting to other stations, are also generously compensated. According to CPB’s 2009 tax forms, President and CEO Patricia de Stacy Harrison received $298,884 in reportable compensation and another $70,630 in other compensation from the organization and related organizations that year. That’s practically a pittance compared to Kevin Klose, president emeritus of NPR, who received more than $1.2 million in compensation, according to the tax forms the nonprofit filed in 2009.